Achievements: London 2012 Olympic bronze medallist, 2013 World Championship silver medallist, Pan American Games champion 2015. I started judo recreationally with my brothers when I was six years old. After I won my first tournament a few months later I was hooked on the competition aspect and set my goals on being one of the world's best. Athletics in the USA is very popular. Unfortunately judo is not one of the more popular sports and not many people know how difficult it really is to be good at. But being able to say you are among the best in the world at a sport that I'm very passionate about makes me very proud and honoured to be an American representative for judo. My first Olympic Games was above and beyond my expectations. Although I was a spectator in Beijing, being a part of the entire Games as a participant in London was exhilarating and exciting. The crowds in the judo stadium were also amazing. They were uproarious for competitors from all countries, not just Britain, and were gracious about cheering for the judo they saw. It wasn't until I became a teenager that I started to see how judo provides a person with more than just athletic ability. It is a sport that changes your character as well. Every day you are thrown to the ground or face failures in the dojo or competition. But you learn to get back up and try again despite that. This transfers over into all aspects of your life making you a stronger and more motivated individual. Being a role model is an honour and a serious responsibility. When you have people looking to you as an example to be imitated every action you make becomes that much more important. Staying true to yourself and carrying yourself in a respectful manner are the best ways to represent what you are really about and motivate others to do the same. I believe that the level of interest in judo in the USA has increased since the success of the USA Judo team at the 2012 Olympics. It has brought judo to the forefront of popularity more than ever before and in doing so has hopefully increased participation in the sport. Only time will tell much more popular judo has become but we can only hope that it will result in more support and excitement about it. The World Judo Tour has created more opportunities than ever before for judokas to represent their countries on the global stage. I believe that the more chances one has to fight the better player they will become. With so many high level events hopefully the judo community as a whole will continue to improve their abilities as players and give judo more exposure as well worldwide. I started judo as a hobby when I was nine years old but later found judo to be more than a sport for me. For me, judo is education. When I was young it gave me something to do and also stopped me from going on the street with the bad guys. Judo gave me something to hold onto in life and to aspire to be somebody in the future. I fell in love with the sport when I was growing up and ever since then I do no regret the first day I set my foot in Prison Judo Club dojo. I have represented my country on many occasions. At the beginning I self-funded trips to represent my country in all the major tournaments in the world. I believe nothing can compare to lifting the flag of your country in a different nation. When you are in a tournament, you are your country and you are the image of you country. The image of your country rests on your shoulders. Your participation in a tournament can open the door for the next generation and future athletes, representing your country is illustrating to your compatriots that it can be done. The best moment of my sporting career was representing my country at the London 2012 Olympic Games. I was the first Ghanaian judo player to compete in the Olympics and although I have competed in all the top level judo tournaments in the world, and medalled in most of them, nothing compares to the Olympics. London 2012 brought the world to a standstill. I saw the world at peace during the Games. It was an honour for me to compete and be a part of the Games and gave me the understanding of why sport is very important for the world and human development. Judo opened the door for me, judo gave me hope, vision and something to aspire to. It paved the way for me to gain long-term education which helped to shape my personal life and taught me the way to behave in public. Judo made me somebody through the education and door of opportunity which was open to me. Today I became an author because of judo (I wrote My Olympics Dream book) to inspire the next generation about my life journey. This is what judo gave me and this is what I feel I can give back to the sport. I think in life you live every single moment fighting to be somebody, hoping to be somebody, but in the end all this doesn't matter. It is what you give back and the legacy you leave behind that matters the most because the goal is not to live forever but to create something that will last forever. My life and my judo career gave me the opportunity to create something that will last forever. Today I am a role model to many children across the world and mostly in Africa. When I visit cities in the poor communities in Africa, people from all over the place come to greet me, to see me and to hear me talk. I am not an Olympic champion or an Olympic medallist but my commitment to fighting and succeeding in life is something I am very proud of. 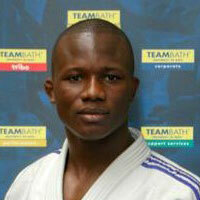 Visiting Ghana this year, I am very happy to say the level of participation in judo and interest in Ghana has grown. We still have a lot of work to do, to support and bring this next generation through. I am hoping we will be able to do this in the future and I'm confident we can produce Olympic champions in my country and across Africa. Judo has changed in the last six years, it is a very exciting time and I'm glad these changes have occurred while I have been competing. I would say this approach is best for the development of judo across the world. There is an increase in participation and development of judo across the world and judo is becoming one of the rising core sports. Most importantly also for the future generation is the integration of judo into education. For my future, I would like to get involved in helping the development of judo across the world. Over the next two years I will finish my MSc in International Management which will see me working in some top organisations in the United Kingdom and also to try and bring a change of environment to where I am. For me life is about impact and bringing change to the environment and everywhere I can, this is most important to me. I started judo when I was seven years old because I had been diagnosed with Attention deficit hyperactivity disorder (ADHD), my parents wanted me to do judo. There was an article in a magazine that wrote a story about children with ADHD and that it was good for those children to take up judo. Judo is the only sport I liked a lot, I have done a lot of other sports, but judo was the only sport that kept me interested. And now I'm one of the best of the world, so I'm thankful to my parents for starting me in judo. I recently returned to the Netherlands after a holiday and I was flying during the evening, so it was already dark when I've got back. To see the Netherlands in the dark with the lights next to the street and lights of houses from above was very special. I like the Netherlands so much, and so I'm honoured that I can represent this country. Every time I am crowned a champion and I hear the anthem of my country, it feels special. The beautiful thing about judo is the respect. You can only train with somebody if you have respect for the other person. It's for sure that you can't like everybody, but even when you dislike somebody, you need to have respect. In the Netherlands people do not view/see a judo player as a very big name athlete. So when I'm out walking not many people will recognise me. When I'm on the judo mat, I don't feel like a role model, however, its when I see that children are nervous when they see me, I remember that I can be a role model for them. I need to get used to the idea that children would like to have my autograph and photograph. This is my most beautiful medal I have ever won. I got injured at the beginning of July when I tore my MCL of my knee. At the beginning of August I could do some randori (free practice) again, but after four training sessions I tore it again, which meant just two weeks before the worlds [World Championships] I couldn't do much training and so therefore I'm proud that I won the bronze medal with the injury. I think that if I was fully fit I wouldn't have been happy with the bronze because I had only won gold this year, but now, with preparation that looked more on par for the Tour de France (I needed to cycle a lot) rather than preparation for the Judo Worlds, I am very happy with my bronze medal. And I'm still the number one on the world ranking list and I like that also. I'm 22, one day I will win that world title. A lot of young children start with judo, but in the Netherlands judo isn't a very popular sport on television. Everyone knows you when you're World Champion ice skating, but when you're World Champion judo, I don't think a lot of people will know you. That there are now Grand Prix and Grand Slam tournaments and a World Judo Masters event which is a good thing. I'm glad there are four Grand Slam tournaments, if you win a medal at a Grand Slam, it's very special. I want to be the best and when I'm the best, I want to stay the best. And if you're the best, you will win the big titles. I want to fight with attractive judo. Sometimes I have to fight tactical, but I love ippons and every fight I'll try to win with ippon. Since my first judo training when I was six years old I fell in love with the sport, I remember I didn't go on school trips if it was the day of judo training. I love my country. I live here and I love the people. It's a unique and special place because of our history. Since I started judo as a child I have realised the importance of values such as respect and honour and this is now what I am representing in judo. I hope that when children watch me they feel they want to do judo and to know that dreams can come true with belief and hard work. It's something nobody had previously achieved and I didn't realise that. I felt it when I arrived home in Israel, there were so many people at the airport to welcome me with so much love. 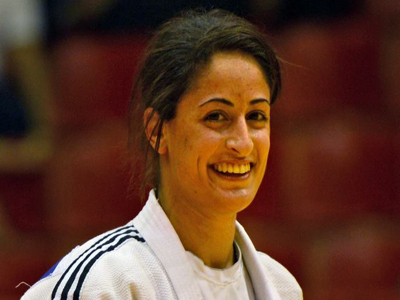 Judo is one of the most popular Olympic sports in Israel but of course it is not at the same level as football and basketball. However, now I feel that more people know me because of this result and more people will follow this great sport. The World Judo Tour has taken the sport to a higher level with a professional circuit like in tennis but as an athlete I treat all competitions the same and I come to win. It feels like I've always done judo. As a child I was grappling with my siblings all the time. So our parents decided to put us into martial arts to fight by rules and hopefully to leave our energy on the tatami. Luckily, they chose judo. I was six years old when I started in a small club in the countryside. The technical education wasn't the best, but I had what was most important: I loved fighting and I always had the spirit of a beast. I really started practicing judo on a semi-professional level when I graduated from school and joined the training group at the regional centre in Cologne. I've always wanted to be the best at everything I do. So, eventually I wanted to join the national team. But what I really dreamed about was the Olympics. Ever since I watched the opening ceremony of Atlanta I was captivated. And when I received a postcard from my coach from the Olympics in 2000 telling me he believed I would one day be there it became my obsession. And even though I wasn't the number one at that time, or for quite a few years to come, I was convinced I belonged at the top, I ought to be part of the Olympic Family. Judo isn't just strengthening the body, judo strengthens the mind as well. Judo teaches moral values and builds character. What I especially like about judo is that nobody is excluded. No matter whether you're young or old, small or big, a fighter or a Kata master everybody has their place. Like in a family. All around the world, as a judoka, you will be welcome and amongst friends. On the day I had a strange mix of confidence and anxiety. After my previous successes in Moscow, Miami and Baku I was very confident. It wasn't only because of winning but the manner I had fought. But when I dislocated my toe in the final training camp and couldn't finish my preparation as I wanted to I wasn't sure if my best weapon, the ashi-waza, would strike as usual. Also, I was anxious whether my endurance would be sufficient after two weeks without randori. So in every fight I did not just fight with my opponent I fought an even harder internal fight with my own doubts. Those feelings only changed right before the bronze medal match. There was no more anxiety, just the will of the beast I am on the tatami. I've always enjoyed judo, but sure it feels even better when your hard work pays off. The key to my success is surely my will not to give up but to live my dreams no matter what. I wasn't in the junior national team and to reach that level in as an adult is way harder. Especially since youngsters are often first choice. Finally, at age of 24 I managed to convince the board to be selected for the national team. Another crucial factor is definitively my decision to join the Bundeswehr and their sports branch in 2010. At that point I became able to focus on judo without having to worry about money whereas for all those years before I had to have one or two side jobs besides training and university. While that decision certainly contributed to my current success on the other hand it also constitutes a huge risk. I have been unable to finish my studies so I put a lot at stake for my dreams. Not the most rational decision I'd say. Like many other sports judo is only getting the interest of the public during the Olympic Games. Many children practice judo but the media coverage is low so most people aren't aware of our effort or our successes. But I hope that will change. 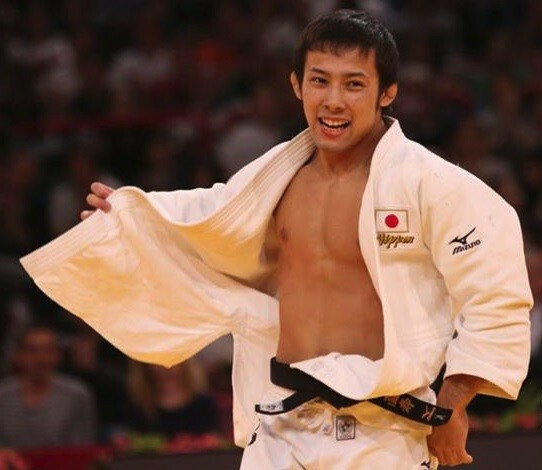 At least with the establishment of the IJF's streaming site (www.ippon.tv) the interested community is able to follow us and watch every competition. I think the decision to broaden the tour was a good one but one that has reached its limits. At least for now. Including far off regions is one thing but the number how many competitions your body is able to take in a year and whether the athletes even have the funding to attend does put limits to it. I started judo because my older brother was doing it. My two sisters had also started and so I followed as the youngest one of the family. My mother supported this because four children between 7 and 12 make a lot of noise. At our judo club we could fight so we could use up our energy and a little bit of aggression. We learned how to show respect because in my opinion judo equals respect. I never thought about representing Belgium. It's a normal thing for me now. If I fight, then in the first place I represent myself but at the same time I represent also my club, village, sponsors and Flanders. I am proud that I represent all of that. It's a good choice that the IJF brings judo to the world as judo is more than a sport. I think judo can be a counterbalance for the egoistic thoughts in the world. Like I already said, judo equals respect. It equals also a fight. But before, during and after that fight you have to show respect. Respect for your opponent, the referees and the crowd. In judo you don't act fair play, it is fair play! Judo is more than a sport. It's helping people, it's caring about people and being healthy. I'm happy to be a role model. It's nice to be an inspiration for people. I try to fulfill being a role model as well as I possibly can. For the second time in my career I won a World Championship medal. 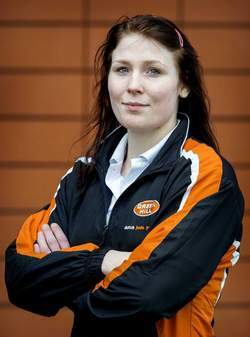 At the worlds in Rotterdam five years ago, I also won bronze. It feels good that I'm still on the top of the world and I hope that I can stay there for some time. Judo is the sport in Belgium that almost always brings back an Olympic medal to Belgium. Everybody knows of judo but they don't recieve enough information about it. We are lucky that nowadays the Belgian support can follow almost everything on the internet. 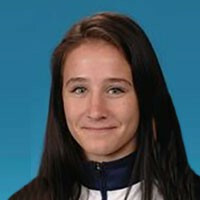 For the judoka it's very busy, the whole year there are tournaments. Before we did almost every tournament but now thats impossible and we have to choose our peak moments. So we had to change a little bit. But the good thing is that judo is being more than ever a global sport. The value of a world championship in judo is a real world championship. You have judo players all over the world and that's very nice! I started judo when I was 11 years old with my best friend in the small town of Porto-Vecchio on Corsica island. It was just to try and I loved it more and more every time. My coach was really nice and it was great to beat the boys. At the beginning I was doing judo really for fun, I had no precise goal. It was not until the age of 18 that I became aware of my abilities and I started having a dream and real ambitions. 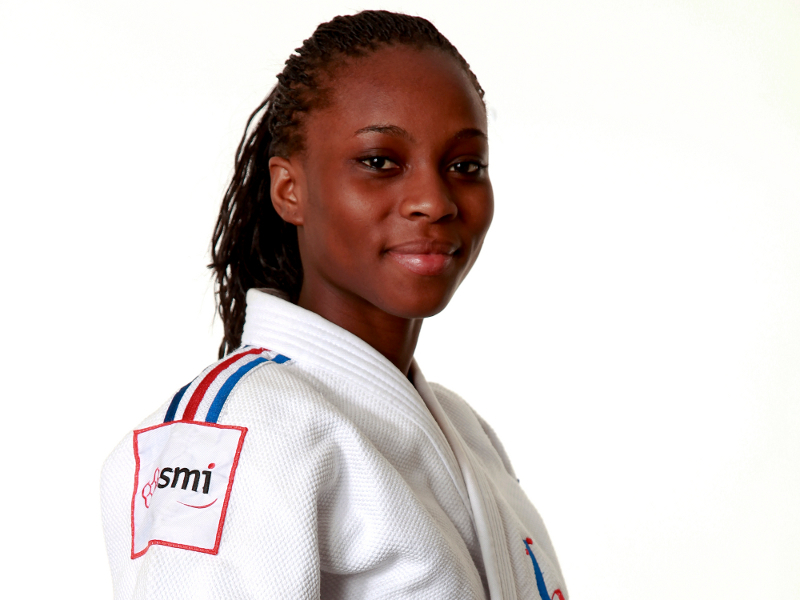 I wanted to be a champion, represent my country like Lucie Decosse, Gevrise Emane and Teddy Riner. I dreamt about hearing the sound of the "Marseillaise" (the French national anthem) at major championships. Of course I think judo is a sport. For me right now I would say it is my life, I dedicate days, months, years. I spend more time on the tatami or in preparation than I do with the company of my family and friends! I think judo, I eat and drink judo! My whole life revolves around judo, everything is programmed according to judo. I don't know what I actually write represents when I'm on a tatami, but in both good and bad times I love my sport. I'm glad when children cite us as an example in judo, or see us as role models. I'm happy to give them something to make them want to realise their dream as I did! We all have examples in life and I am proud to represent that for some young children. My best memories of London were as soon as I arrived in the Olympic village, everything was huge, the restaurant dazzled me. I was on a diet and I did not know where to turn. We met stars as Serena Williams, Kobe Bryant, Usain Bolt and Tony Parker. Of course the most memorable moment was my last fight of the day when I won the bronze. It was just magical, I saw my parents and friends in the stands jumping for joy and that it is my best picture in London. Judo is very popular in my country. You may have noticed all the excitement there was around the sport at the Paris Grand Slam. We have many licences in the four corners of France while young people struggle to become a champion. There is a lot of competition, which leads us to give the best of ourselves every time. We bring the medals and it attracts attention. In France, judo is a sport widely recognised and receives a lot of space in the media thanks to champions like Teddy (Riner), Lucie (Decosse), Gevrise (Emane) and the new young names. I think this is a good thing for the development of our sport. To make the sport known in the four corners of the world is great and it's also a lot of sharing and discovery that are consistent with the values of judo. In my opinion, the growth is a great thing. I started judo when I was six years old in a small dojo in Ohio. My mother had taken judo in college and needed something to keep my inner "wild child" from driving her crazy... I had so much energy! She wanted me to learn self defense and have some discipline and knew that judo was the perfect combination. From a young age I loved watching the Olympics and watching people go out and achieve their dreams. I didn't know what I wanted to do but I knew I wanted to be the best... then I found judo and knew that was my purpose in life. I think judo is so much more than sport. I think it is a way of life. On one hand, it is a martial art where you learn Kano's teachings and ways of life. Judo is all about using someone else's momentum against them, its all about going with the flow and being disciplined and focused all the while. All great life lessons. Judo is also a sport, and sports emulate life. They teach you how to win with grace and lose with dignity. They teach you that you need people to succeed; coaches training partners, teammates. I have so many memories. Honestly the entire trip was like a dream to me. The opening ceremony was absolutely breathtaking. Walking into that stadium and realising I was about to achieve my dreams, that feeling of being anxious and excited and a little bit of fear mixed with a lot of confidence, its an amazing feeling. I felt the heat from the Olympic flame on my cheek... how many people can say that? Another big moment for me was watching Marti (Malloy) win her bronze medal. She had been so fantastic and she's like a sister to me so seeing her succeed was heartwarming. I was so happy for her. World and Olympic medalist, a champion of champions. I would say that participation in the US is growing, but it is no where near where it could and should be. I do believe that interest is growing though so hopefully we can capitalise on that and make it a powerhouse in the international world and a household sport in the US. I think that the World Judo Tour is an amazing fun and easy way to bring the highest level of the sport to all areas of the world for people to see. If we put our best foot forward people can and will fall in love with judo. I think its only a matter of time before the fire is lit and I am so excited to be a part of it. I started judo when I was 15 years old. My father was a former traditional Mongolian wrestler and I followed as he wished in sport but I chose judo and I'm very pleased that I did. I had a dream to compete for Mongolia. I had this from the very start and it means so much to fight for the people of our country. The World Judo Day 2013 was very nice – I was with many young students for a training clinic and demonstration. I also hope many of the children can pursuea a career and live out their dreams like I have and become famous judo athletes. I hope my gold medal will bring many achievements and success to young girls – if I can get a gold medal then I know that any other girl can do it. Children must try to get good results, achievements such as world and Olympic medals. Every year judo becomes a more popular sport in Mongolia. In 2013 we hosted the country's first ever Judo Grand Prix and will hold the next one in July 2014. More children are taking up judo everyday as the sport is becoming more popular on TV and it sports venues here. I started Judo when I was 14 years old because my sister convinced me to try it. Before that I had done athletics and football. I wanted something different and I thought it would be fun for travelling, pushing my limits and meeting new people. At the beginning I didn´t think of that too much, I just wanted to be the best I could and have fun. But then I realised how important and such a big honour it would be, so it was a goal to represent my country. Judo is a way of life. The values of judo will stay with you no matter what, if you are a competitor or just someone who likes to practice judo but does not compete. The most important thing is the experience of being a judoka as that stays with you for all of your life. I think the reason is the belief that I have in me and in all my hard work. Of course I love what I do, so I don´t see judo as a sacrifice, beside all efforts that competing in high level demands - if you are enjoying what you are doing and you put 100% into it, everything comes naturally. Since the beginning I've always worked hard and believed a lot in my capabilities, but the most important is that it was always very pleasant for me to go to training. And of course I've always fought for the first place, I've never put a limit, and I will always try to achieve a medal in all the competitions. Over the last few years judo has become a very respected sport in my country and it is getting more and more participants therefore more interest from the public. Now everybody knows judo, before people only knew judo as a martial art. The World Tour is getting really good because you have different types of competitions, from European Cup, Grand Prix, Grand Slam, to the different levels of athletes. The tournaments always have a great organisation and it is becoming more spectacular and attractive for those watching and also for the competitors. I really like the environment and the level of great competitions such as Grand Slam, Grand Prix and Masters. Now every athlete that starts in the World Judo Tour can start with the right level of competition and the ambition to go further. It´s a challenge for the youngest athletes. Also the updates and live stream help everybody to follow and be involved in the competition. I started judo at the age of 10. At first it was just a sport for me and then I got more involved and judo became the undivided thing of my life. 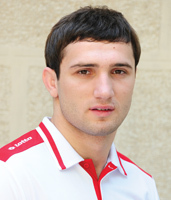 Representing my country is a great responsibility for me, especially because judo is a beloved sport by the Georgian people. Judo is my life. It is much more than a sport to me, it means everything. Being a role model is a great responsibility. It is obviously pleasant to be a role model for somebody. I would be happy if my career was to encourage younger generations to do more sport for a healthier future and to dream of representing their country. Judo is a popular sport in Georgia, especially in my region of Tbilisi. Winning gold in Rio as a team was one of the highlights of my career. It is a great feeling when you are a member of the best team in the world and you celebrate it with your team members, actually it is greater than winning an individual championship. I think judo is growing worldwide and I would be happy if more World Judo Tour events continued to be added to develop the sport all over the world. I wish for success for myself and my teammates. I started judo when I was six years old. I have five brothers and sisters and they all practiced judo. Did you dream of representing Japan from the beginning? When I was in secondary school, aged about 12 years old, I was dreaming of becoming an Olympic champion in judo. What was the moment when you knew judo would become your full-time career? Until University, I wasn't the strongest judoka. At that stage I started to develop more responsibility and I became stronger and stronger. It was a very important time for me as I was fighting in Japan and internationally and my results were continually improving. What are your memories of London 2012? I can't remember back to London 2012 (laughs). All my family were there so it was a really special moment to win in front of them and they were a big part of my success. Do you think judo is more than a sport? 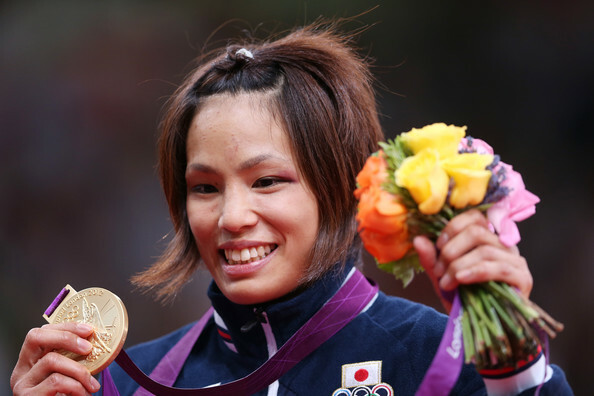 Judo has a great spirit and I want to show everyone the values of the sport when I compete. Me? (laughs) It is very nice if people think this. Do you know the nickname which fans and media use to describe you? The Assassin (laughs). I don't know how to react sometimes when people call me this but it is nice to have a nickname. It is a sign that I have made an impression in my competitions. What are your thoughts on the rule changes? I like them. They are good for me. They suit my style and I felt good when I returned in Dusseldorf. I needed a break after London because my motivation was low. Now I want to focus again on the World Championships and then the Rio 2016 Olympic Games. What do you think of the new young generation of Japanese judoka in the -57kg category who have emerged while you took a break? It is good competition which everyone needs. We have very strong judoka. I feel this when I compete at the All Japan Judo Championships and in domestic training. Champions can build champions. What do you think of the new gold judogi backpatch for Olympic champions? (laughs) I like it. The colour is nice. Hopefully Japan can have many gold backpatches in the future. I started judo at the age of three because my older brother was already training. When did you first have the ambition of fighting for Japan? When I was in primary school I wanted to win every championship. From an early age I had the ambition of competing for Japan and to win for my country. When did you know that judo was going to become your full-time career? When I went to my first World Championships I realised that this was my destiny. Judo is my life. What are your memories of London 2012 and winning bronze? London was my first Olympics so I was really nervous. I didn't really have good memories because I wasn't satisfied with my performance. I think judo is different from all the other sports. You compete against an opponent but before you start you bow and show respect. This is very important in our sport. 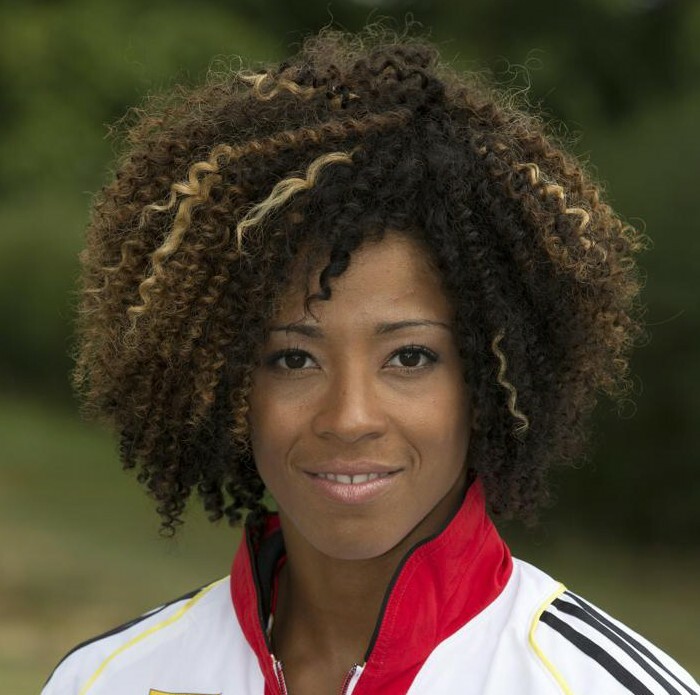 We last saw you in action at the Dusseldorf Grand Prix where you won gold. How pleased were you with your performance? I got injured before the World Championships last year and it has taken me a long time to fully recover. I was nervous in Germany but was quite pleased with the result and it felt good to be competing again. How and where did you start judo? I started judo because of the influence of my grandfather, because he liked a lot of discipline. My judo started at ACNB Judo Vila Carrao in Sao Paulo. Did you always dream of one day representing your country? At first that was not what I thought about it because I did not like to do judo, I was forced to go train. As I started to win competitions, I was enjoying judo, and so began the dream of representing Brazil. What is it like to have a cousin, Gabriela Chibana, also competing for Brazil? It is very good because I know that I am serving as inspiration not only for her but for all the other relatives and friends who are also doing judo. I always talk to them and tell that they train hard and always believe they can get to where I am in judo. What does it mean to you to be the world number one in the -66kg category? This means that all the work I've done with my club along with the Confederation of Judo Brazil is going well, my dream of winning the Olympic gold medal is hopefully becoming a clearer reality. 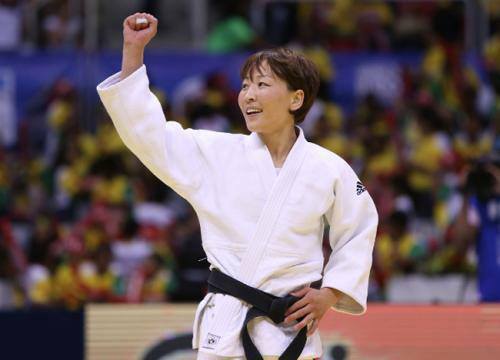 Which judoka do you like to watch in your weight category and other categories? I like idols and friends such as Leandro Guilheiro, Tiago Camilo and Rafael Silva. These are athletes who train with me at the same club and help me a lot in day-to-day. They are athletes who have already reached an Olympic medal, so I always try to see them and follow their habits. Do you think that judo is more than a sport? Of course. Judo itself teaches a lot of discipline, respect for others too, where we have to use in life. How would you describe the level of participation and interest in your country? Nowadays judo is better known, both that and the flagship Olympic Games coming up, many people today are looking for judo to give their children good discipline. What are your thoughts about the continued growth of the sport with a Judo World Tour now well established? I believe with that judo will grow more and more being known worldwide. My house is very close to the dojo so my sister and my friends started to do judo. They called me every day to come and try it because it is really good so I started to do judo when I was eight-years-old. I always had a dream to represent my country because Kosovo is a new country and I just wanted to show to the world that we are a sports state and we deserve to be equal with all athletes in world. I can say that 2009 was a key moment for me because I won the European and the Junior World Championships. Since then I knew it that judo is going to be my profession, my life, my everything. The title that I won in Rio 2013 was a historic moment for my country and now when I won it for the second time it's just a stamp that in Kosovo lives one of the best judoka in the world. I really believe that judo is more than a sport because through judo I did for my country and for my people much more than politics or politicians can do and I am very happy for that. Judo is the most successful sport in Kosovo and all the time we have new and young talents. A lot of girls want to become like me one day and I feel good that I am such an inspiration and I believe that in the future we will have a big team. The prime reason why we have a successful team is that we have a great coach. There are a lot of good and talented athletes in Kosovo but there are no high level coaches. Our coach knows judo very well, he has beautiful judo and we are very lucky that he lives in Kosovo because without him I would not be who I am today, he is a hero! The support of the IJF has always been important not just for me not just for our Judo Federation but for all sports in Kosovo. IJF President Mr Marius Vizer has helped us a lot in many ways and we are very grateful to him. Of course I needed to work hard, I have dedicated my life to this sport and yes it is very very hard to continue to be on the top of the world but I wanted to take an Olympic medal and I really believed that I would. Judo as a sport under Mr. Vizer has become more popular and the World Judo Tour is the biggest thing which happens for athletes and our sport. I think many sports are looking at the model of judo and how fast the sport has grown. I started judo in a Rodrigues Island, an outer island of Mauritius. I tried other sports but judo felt natural for me, I really enjoyed it and took to it quickly. It’s my country, it was always my dream to compete for Mauritius. We may be a small country but we have a lot of ambition and desire. At the London 2012 Olympic Games I finished in seventh-place. I have belief but I know I have to work harder and make many sacrifices. I have realised my dream of going to an Olympic Games, not all the athletes can participate on that stage. My motivation is the next Olympics and Rio 2016. My coach Florian Velici was the first coach of former world champion Daniel Lascau and he is here in Mauritius because of the IJF and its President Mr. Marius Vizer. Florian is a good coach, he encourages us and he make us believe in ourselves. The African continent is progressing more and more because the IJF helps us and encourages us. This makes us have more confidence in ourselves and if we have more encouragement we will progress. My coach said for me to believe in myself and I have worked hard to be at this stage. 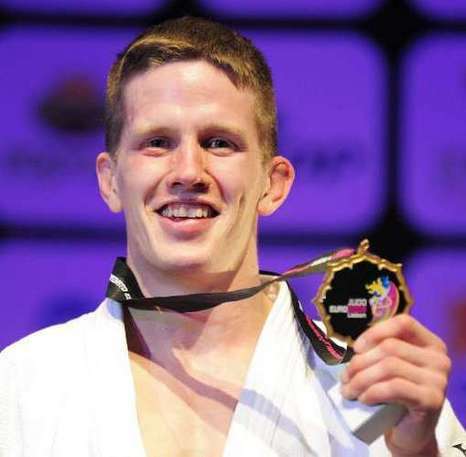 I did my best and realised my dream of winning a medal on the IJF World Judo Tour. One day, I realised that I could be like any other athlete. I have met some very strong judoka and I lost many times, but I always gave my best. The day I realised that, it totally changed my approach to the competition. I started by chance at school. I've always dreamed of competing for my country. When I was 5 years old, I used to count on my fingers in which Olympic Games I would probably be old enough to compete. Well, when I was 5 I already thought I could be fighting there. I remember I did 7 fights and everything happened very fast. In the end, I felt happiness and relieved for getting the medal. In Beijing I was felt injured and didn’t have a good Olympic cycle. On the other hand, I was mentally very well prepared and ended up doing a good competition. You are never the same person if you compare how you were in two different Olympic Games, but I guess my determination and capacity to stand the pain helped me a lot. I still have the guts to train hard and get prepared for a tough competition. Besides, I feel I can do good judo although I am still struggling to perform the way I wish in competition. I learnt judo this way. My first sensei always taught me that this kind of judo was the correct one, although the most difficult to learn. He used to say that the fundamentals were important to understand judo and be able to beat any adversary. I trained very hard since very early trying to perform with perfection. For sure I never reached it, but I still try to. It’s nice, but it comes with great responsibility. I hope I can give back to the youngsters what judo have been giving to me. Judo - more than a sport? For sure. I can’t imagine how I would be without judo. But I can say I would be a lesser man. We cannot compare ourselves with soccer or volleyball, but we have a great public. Its normal for parents to enrol their kids to do judo as part of their education. We have classes in some schools, clubs and social projects. 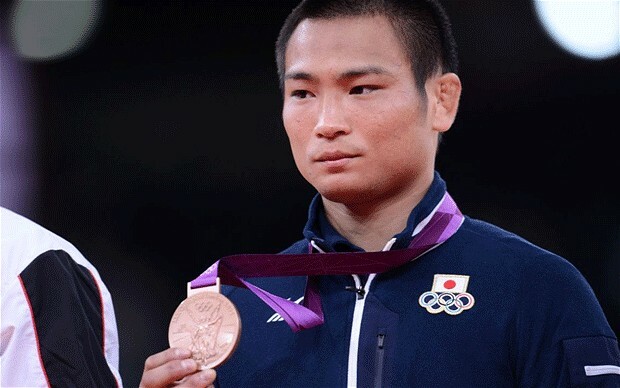 During the Olympic Games, there is a great expectation in judo results. Judo got a professional presentation and this is very important to keep the sport growing. The real challenge for judo is always to advance as a modern sport without leave behind their traditions. I am training hard, thinking a lot where I can improve and the most important: trying to find that trigger that will make my judo flow. When I was six-years-old I saw judo for the first time. My motivation to start judo was because both of my parents practiced the sport. My clearest memory is the Sydney 2000 Olympic Games, I was watching the judo with my parents and then I really wanted to start. I started in a local club, the same club as Ebinuma Masashi (Olympic bronze medallist and two-time world champion) in the Tochigi prefecture. From the moment of my first competition, which I lost, in our club, I wanted to become stronger and to train harder. At 15-years-old I started to represent Japan. From my childhood it was my dream for judo to be my career and it became my job ever since I was selected for the national team. When I won the 2009 Cadet World Championships at the time I felt that it was just a small competition, my dream was only of winning world and Olympics gold. My vision was to move into the senior team very quickly. 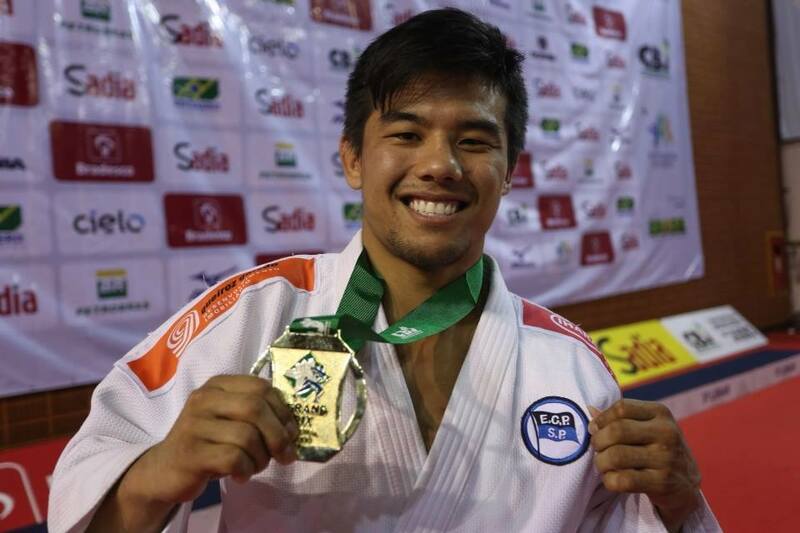 It was the first time Japan won gold in the under 60kg category since Nomura Tadahiro (1997) so I felt very happy. It was very important for the Japanese team to win on the first day. If I had never done judo I would not have been to so many countries and I have seen so many cultures. Through judo I continue to learn and teach new things. I have learnt everything from judo and the most important thing is to trust people and respect people. The favourite place I have been to has to be Rio de Janeiro because I won gold there! When you talk about sport you imagine football or baseball but judo is something different. Judo was born in Japan and is a martial art, it is an Olympic sport and can teach people a lot of things like education. At competitions in Japan I hear children say that they would like to be like me and this is good inspiration. I remember in 2013 when I won in Paris. I felt this event was more than a judo competition, it is like a huge entertainment event. The audience was very loud. I always enjoy experiencing this stage. Winning the event this year was the first step to Rio 2016 and becoming an Olympic champion.